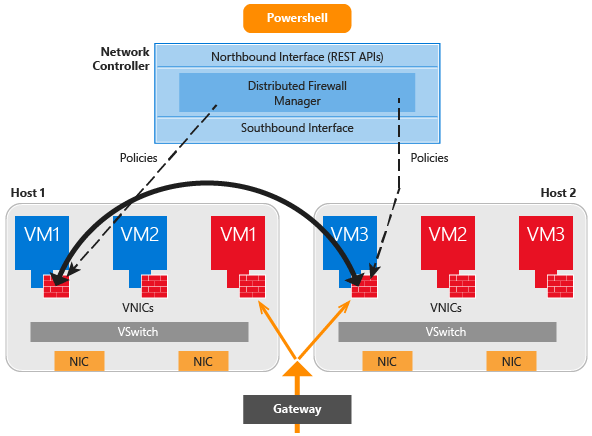 Datacenter Firewall is a new service included with Windows Server Technical Preview. When deployed and offered as a service by the service provider, tenant administrators can install and configure firewall policies to help protect their virtual networks from unwanted traffic originating from Internet and intranet networks. The service provider administrator or the tenant administrator can manage the Datacenter Firewall policies via the network controller and the northbound APIs.